Using the free CUBA Java Framework for filtering data similar to Microsoft Excel. As was promised last time, I'm going to run through some features of the CUBA platform, which I think are very valuable. I’m going to write a series of sub-articles here, starting with the elementary aspects, such as UI, filtering, security for some advanced parts like web portal, extensibility, audit, dynamic attributes and so on. The filter conditions can be in different modes dependent on the attribute type. A text attribute filter could be for example; starts with or contains a given text and so on. Dates can be filtered with the corresponding date filter possibilities, like before or after a given date. Enums as well as N:1 associations will be selectable via a drop down list. 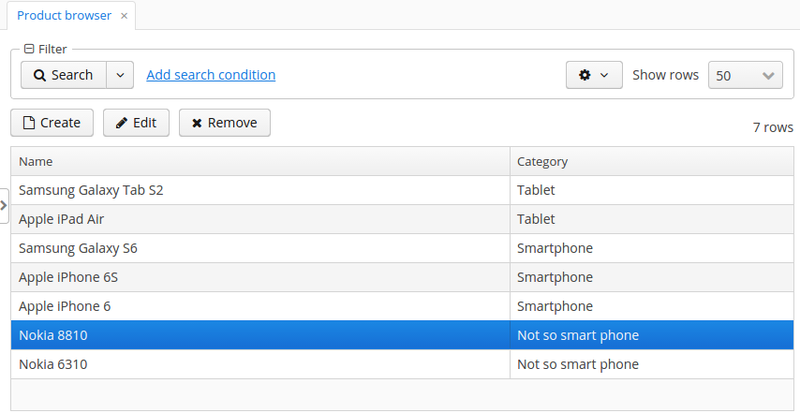 Condition modes for this type are; is set, in list, =, etc. I could go on and on describing the different data types and their filter modes, but I’ll leave it for now. If you want to see the significant power of these filters, you’ll find a pretty good documentation here. That’s it! Actually not, because you’ll have to define the productsDs datasource, which you can find in the XML descriptor as well. 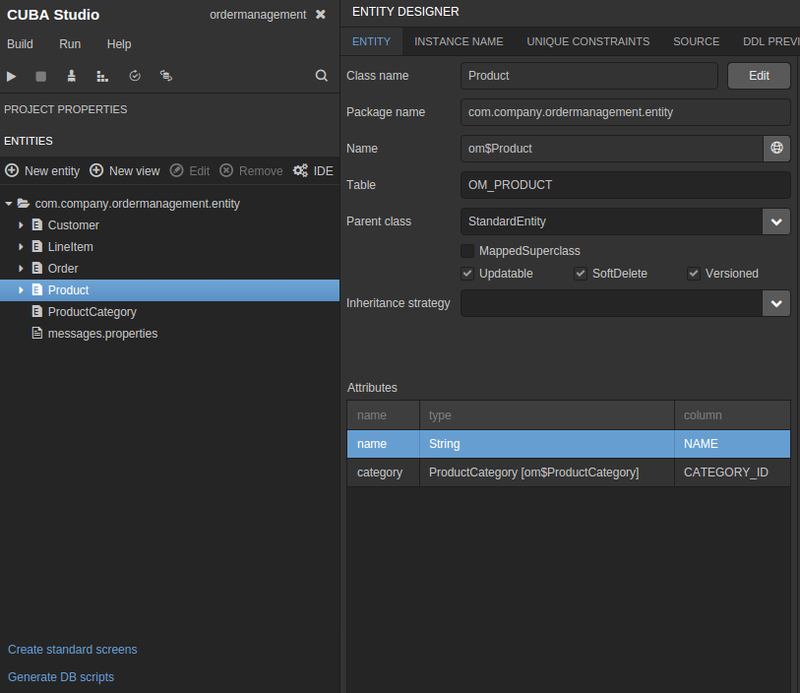 In this case, you’ll need to download and install the CUBA Studio, do a git clone from the example project, open the project, look at your Product entity (as you see above) and tell the studio to generate standard screens for it. After answering a few questions about the different options of this generation step, it will lead to the exact XML descriptor file for the list browser of this entity including filtering functionality. What About the Real Heavy Stuff? After going through this, two things came to my mind. First, this is just for ad-hoc filtering scenarios. How can I pre-define these filters, so that my users do not have to pick them up by themselves over and over again? The second thing is that there are often filtering requirements that go beyond the described possibilities. How is this tackled by CUBA?